The most talked about #ETCPaintensity2016 Party is coming to Davao City this Kadayawan 2016. This year, it’ll be bigger, bolder, wetter and wilder. Enjoy the high intensity mix of digital music, art, dance, paint all rolled into one spectacular party happening this August 20, Saturday at SM Lanang Premier grounds from 4PM to 1AM. So beautiful people of Davao, let’s paint the night with ultra fun and electronic music with the country’s premier DJ’s - BadKiss, Martin Pulgar, Knoxville and many more! ETC is also giving away limited edition of ETC Paintensity shirts at the venue. Don’t miss out on the fun follow #etcpaintensity2016! 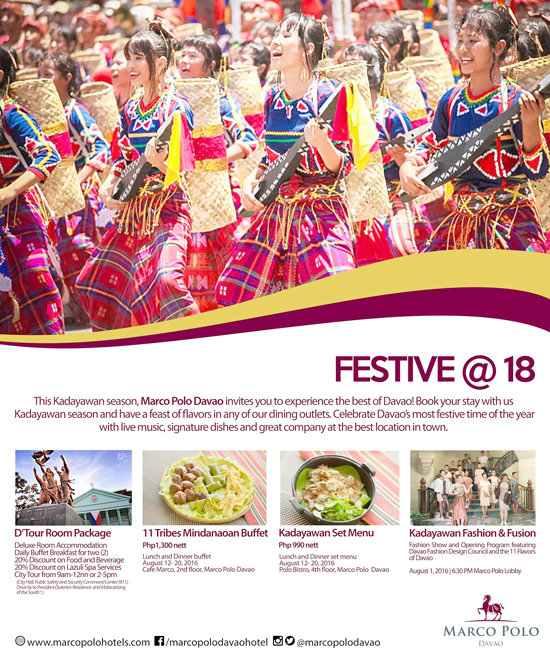 If you haven't decided yet where and how to experience the best of Davao this Kadayawan 2016, Marco Polo Davao offers the best package to give you the best time you can ever have this season - from deluxe accommodation, tours, dining and exceptional customer service. See information on the poster and for bookings and more details, contact! OPM icon and PLDT HOME Ambassador Regine Velasquez is coming to Davao to perform live via the widely popular Regine Concert Series. Powered by PLDT HOME, the musical extravaganza is a show of gratitude from the country’s number one digital and multimedia services provider for the massive support throughout the years. The concert series, which was extended for a second year due to its unstoppable success, aims to help promote the titular Regine Telset Series—a set of limited edition landline phones available for only P99 per month—launched last year to great acclaim, with stocks running out fast as soon as it was made available to the public. Its initial kickoff last April 10 at SM Bacoor in Cavite was followed by another full house gig at SM City Pampanga. From one jampacked mall to another and in response to insistent public demand, the Regine Concert Series is finally on its way to the Queen City of the South on July 30 for its much-awaited VisMin debut. The Cebu leg will feature a 10-piece band helmed by award-winning musical director Raul Mitra, with a special performance by Your Face Sounds Familiar first runner-up Michael Pangilinan. PLDT VP and Home Marketing Director Gary Dujali said, “The Regine Telsets, when bundled with PLDT HOME DSL, form the foundation of a digitally connected and smart home. 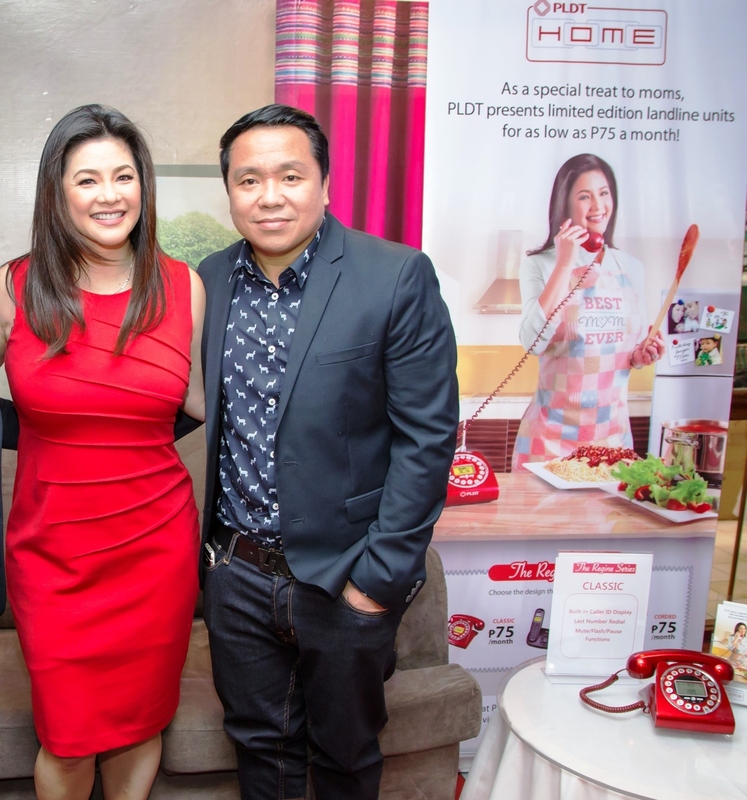 PLDT HOME has been making it big in the hearts of Cebuano families, and we look forward to helping them forge the strongest connections with their families through powerful connections and world-class music.” After Cebu, the Regine Concert Series will then be scheduled for a Davao stopover on August 6 at SM Ecoland. Fans will be in for a free world-class musical treat as Regine performs her well-loved hits. For more information on the Regine Telset Series, visit pldthome.com/landline. Davao City has a lot to be thankful for this year. First on the list, our beloved Mayor Rodrigo Duterte is now our new President. Second and nothing more, life here in Davao City is becoming more awesome than ever. It is that time of the year again where we are celebrating the blessings of our bountiful harvest – Kadayawan Festival. This year’s celebration will be a reflection of our President’s persona - simple and straightforward. 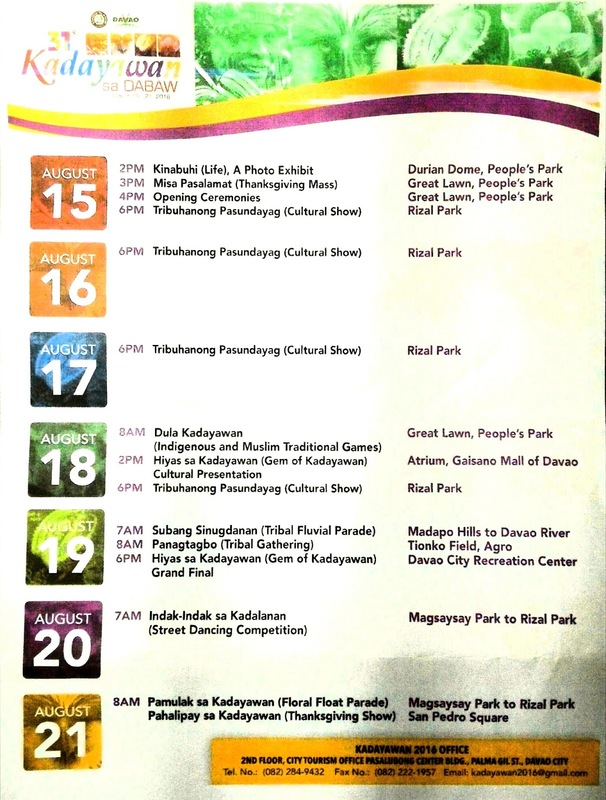 To give you a guide on when, what and where events are taking place this 31st Kadayawan Festival, I’m sharing here with you the Official and updated Calendar of Events. Hope to see you all here in Davao City. Thinking of where to dine to celebrate FOURTH OF JULY? 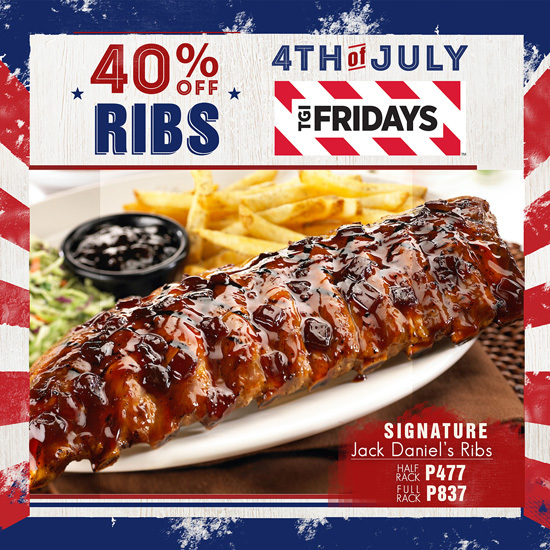 TGIFriday's here in Davao City is delighted to let you know that they will be offering a 40% mark down on their all-time signature and oh-so delicious dish, Jack Daniel's Ribs this FOURTH OF JULY! Other than their mouth-watering ribs, TGIFriday's also have a good list of delicious food, perfect to share with friends and family to celebrate our American friends' Independence Day! Call TGIF to reserve a seat today! JP Laurel Ave., Davao City, PHILS. It can be exciting to consider starting up a new business, but it can also be terrifying. For many, a new business is a bit of a gamble but there are steps you can take to make success a little more certain. 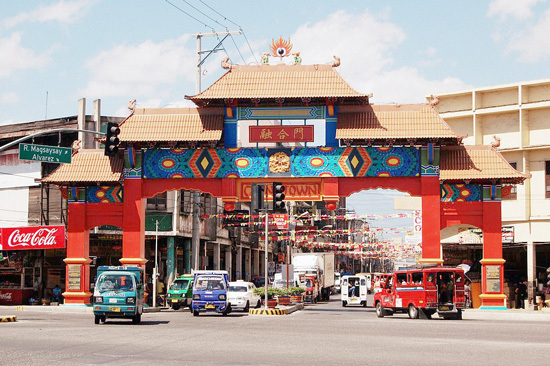 Plan carefully to start your own small business in Davao. The best first step to starting your own small business is to establish that there is indeed a market for the services or goods you plan to offer. You accomplish this by doing some market research. 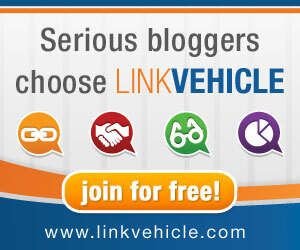 Check out your local area to see if anyone else is in the same line as you, and if so, who their core customers are. You may decide to target a different demographic so you will not struggle to sell to the same people, and may even refine your offerings to become a niche provider. Then,establish the market price for your goods or services so that you can price yourself competitively. You can conduct market research among your potential customers easily, by utilizing social media. Next, you look at your business, the type of structure it will be, your company name and your branding. If you are going it alone, then registering as a sole trader will be appropriate for you, but you have other options, such as forming a limited company or a partnership. Choosing a good business name is more complicated than you might think. Because of the internet, it can be extremely beneficial to choose a business name that incorporates the goods or services you are offering. For example, if you are a maker of men’s suits, you could choose to include the words ‘bespoke tailoring’ to give you more leverage when it comes to search engine results. Your branding is just as important as your business name because it will give your company a visual identity and will be used across a wide range of marketing tools, such as your website, your social media profiles and your business cards, which are still considered essential. You could design your logo yourself, but you will undoubtedly get a better logo if you have it professionally designed and then order custom printing for your printed materials such as letterheads and brochures, because these will be given out to your potential customers and need to look good to show that you are a reputable company. Marketing yourself will be one of your priorities when just starting out, as you need to get the word out that you are open for business. This is where your printed brochures and business cards will be invaluable, so be sure to hand these out whenever possible. You should also use social media to raise awareness, build up an email distribution list and get visitors to your website. You may also want to consider paid-for advertisements in local publications. Give your new small business in Davao the best chance of success by carrying out market research, choosing your company structure and setup carefully, and marketing yourself through your current networks.